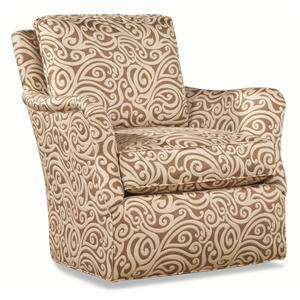 Have it all - comfort, style, and quality - with this classic chair for your home's living room. The regal English arms complement the comfort of the chair's loose back cushion and plush cushion seat. Made in the USA, this chair is hand-crafted with finely tailored details. Its high-quality construction provides you with a durability that will allow it to be a treasured addition to your decor for years to come. The ultra plush seat cushion provides luxurious comfort for you and your guests. Available in a variety of upholstery options in fabric or leather by custom special order. This chair is available as a stationary chair or a swivel glider. 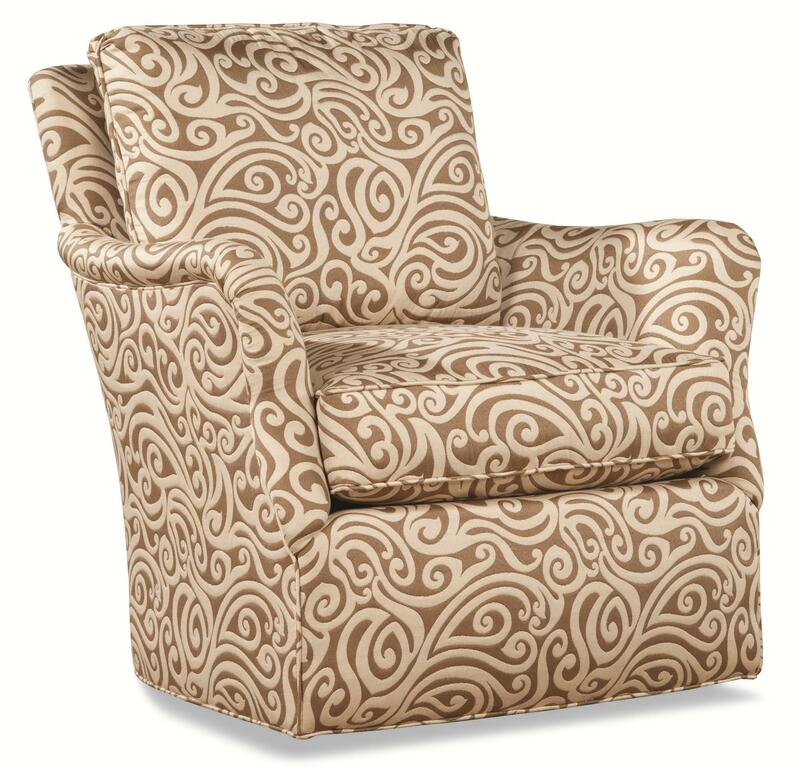 The 7195 Upholstered Chair with English Arms by Huntington House at Wayside Furniture in the Akron, Cleveland, Canton, Medina, Youngstown, Ohio area. Product availability may vary. Contact us for the most current availability on this product. Fabric Options Hundreds of fabric and leather options. Any fabric can be put on any frame. Contrast welt trim available. Browse other items in the 7195 collection from Wayside Furniture in the Akron, Cleveland, Canton, Medina, Youngstown, Ohio area.